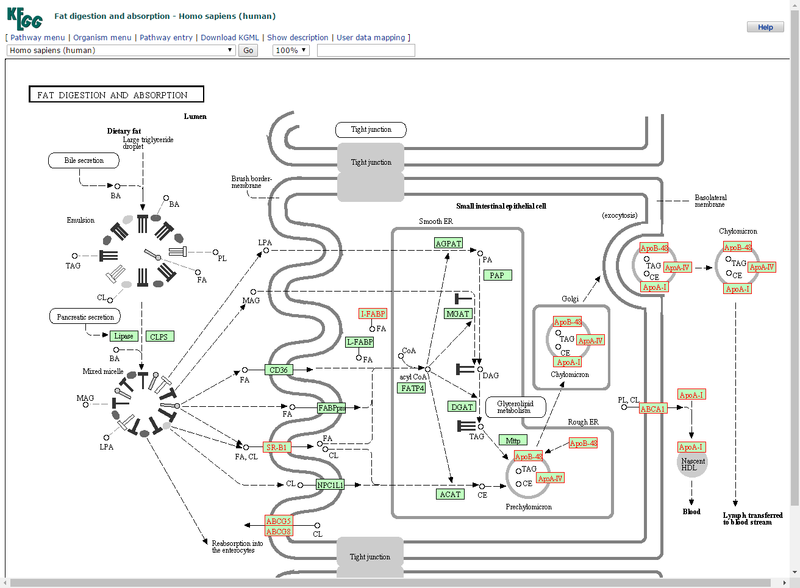 When you choose to do enrichment analysis for KEGG pathway (see the figure below). You can click on the pathway name to see your results on KEGG pathway web site highlighted with rectangles. 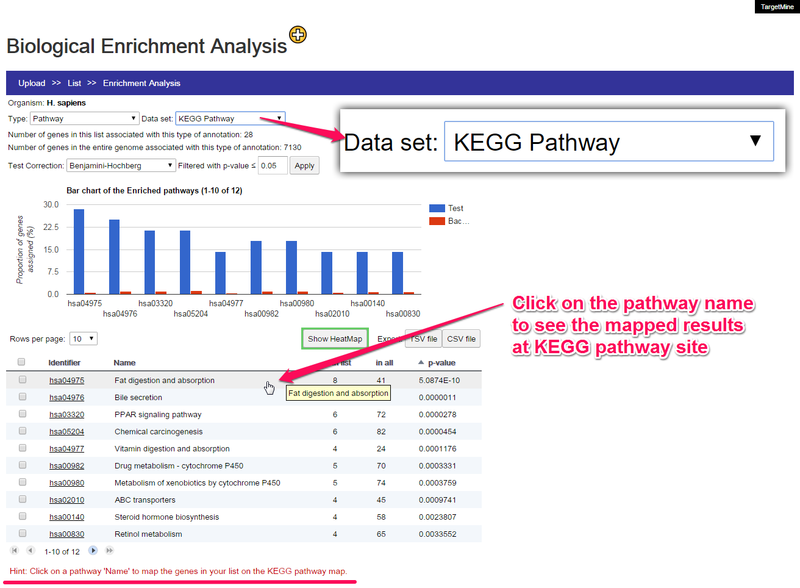 Clicking on the pathway name will show your enrichmed results in KEGG pathway web site. The gene in your analysis list will be highlighted with red rectangles. 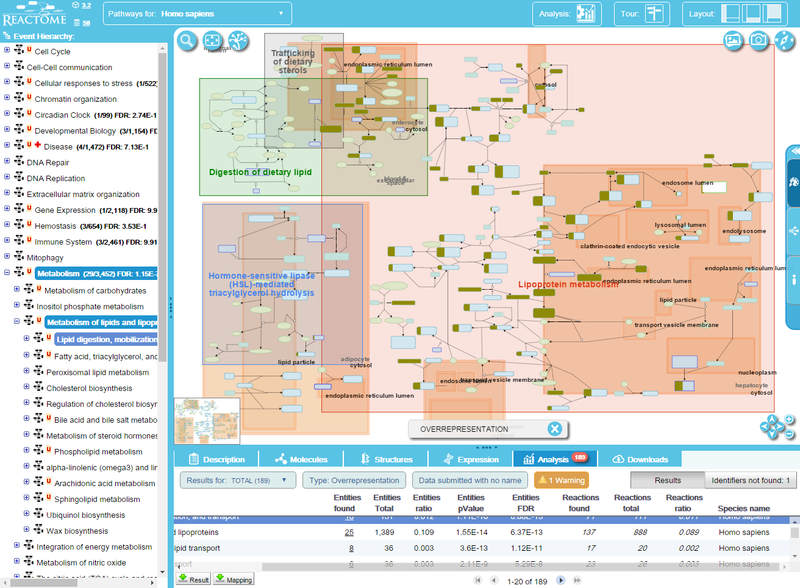 Same as the KEGG pathway enrichment, if you choose to do enrichment analysis for Reactome pathway (see the figure below). 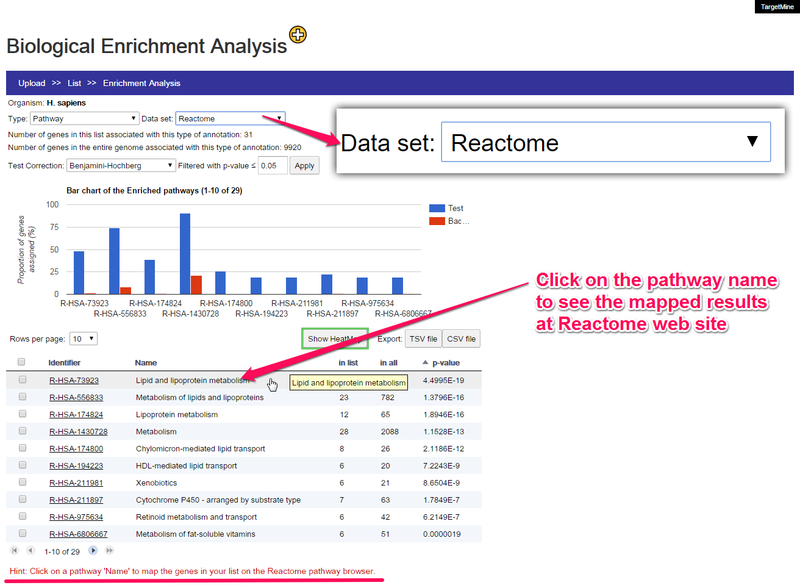 You can click on the pathway name to see your results on Reactome web site highlighted with the olive color. Clicking on the pathway name will show your enrichmed results in Reactome web site. The gene in your analysis list will be highlighted with the olive color.